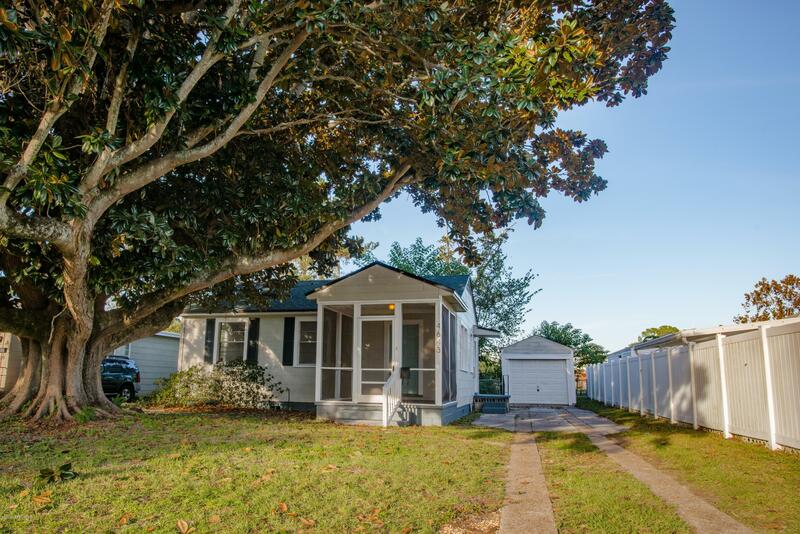 Great starter home or rental investment. While the tax records show 3/1, consider this a 2 bedroom with a flex room in the middle. Could be used as a nursery, office, exercise or t.v. room. Home includes a detached garage. There is also a detached workshop for any hobbyist to enjoy. Nice screen porch out front to enjoy your morning coffee or relax after work at night. New roof, original wood floors beautifully maintained, all kitchen appliances remain. This one is move in ready.